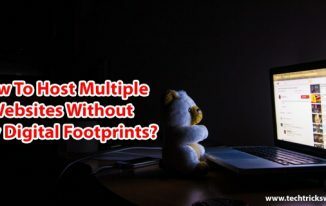 Most people and business across various industries are still in fear of implementing AI into their workflows because of the notion that it takes enormous brain power to do it. 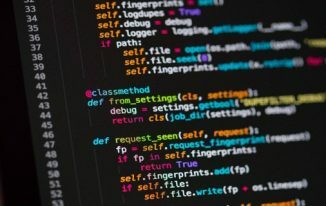 If you take a look at the technology industry, it’s more than obvious that the future belongs to artificial intelligence and more or less, every business will use the numerous benefits AI has to offer to stay ahead of the competition. With so many useful applications, such as automated customer service and top-class data science, AI has already taken the world by storm. With all this in mind, if you’re thinking about implementing AI into your own business, it doesn’t take a scientific genius to do it. In truth, it’s absolutely possible to do it efficiently and safely while getting an opportunity to reap all the most amazing benefits that this incredibly powerful technology has to offer. The technology industry and by now, pretty much every industry, is echoing with two words that speak volumes for themselves: artificial intelligence. With immense, yet still fully uncharted and unexplored potential and application across a wide variety of industries, AI has been proven to work miracles, especially for manufacturing and retail. Chatbots and various virtual assistants have been proven to work like a charm when it comes to answering customer questions and requests, as well as embedding new products. In fact, implementing a top bot solution helps any business build a good relationship with their customer base and improve their overall productivity. AI is making the business landscape and everything in it smarter, which unlocks the power of all the gathered data that countless enterprises collect and analyze. The constant advancement in natural language processing, deep learning, computer vision, and machine learning have made the process of implementing an AI algorithm into your cloud platform or business software literally a walk in the park, and all that with the main goal aimed at encouraging countless businesses all over the world to reap the benefits of AI. The main purpose of AI is to make your business processes easier and better organized to make the best use of your time, efforts, and resources. If we take all this into consideration, here is what you can do to integrate artificial intelligence into your business with success. It will be immensely easier to use AI to its full potential if you understand all the things that modern AI can do. Most businesses still see AI as something complicated but they fail to realize that modern technology has made modern AI so simple that even those with no knowledge about AI can use it. Chatbot platforms like SnatchBot are already allowing companies with no coding knowledge to build their own AI-supported bots to help with everyday tasks and customer service. With a wide array of most useful resources related to AI, any business can fully comprehend the basic concepts of AI. The more you know about predictive analytics, machine learning, and all things AI in general, the easier it will be to increase your productivity. All business use AI to help them make their workflows, and business in general, easier. They do so by clearly determining the role of AI. That means using the power of AI to identify and solve problems. Your existing services and products can benefit from AI capabilities. Your business should shift its focus to specific use cases in which artificial intelligence could solve certain problems. This is the best way to provide demonstrable value. Each company has key tech programs and the problems that come with them. The elements of AI such as machine learning and so on can help identify and solve the most common problems, allowing your business to run smoothly. As Avi Ben Ezra, Chief Technology Officer of Snatchbot and Henri Ben Ezra, CEO of SnatchBot say: “Every business will reap numerous benefits from introducing AI and chatbots to their workflows. AI is the future of all industries in the world“. If you overestimate your organizational ability, even AI won’t help make the wanted difference you were previously hoping to achieve. Every business needs to keep the internal capability gap in mind when thinking about implementing any new solution. What you want to achieve and what you can accomplish are not the same things, and time is of the utmost importance. Clearly evaluate your business and tech perspectives before you decide to actually integrate your AI solution. This will help you set the terrain for the incoming AI implementation by clearly identifying processes that need further evolving, as well as everything you need to acquire to ensure successful implementation. The best way to implement AI is by applying it to a small amount of data to see how it goes. Apply AI incrementally to prove it works, then collect positive feedback and expand according to the data you have. The best thing to do is pick a particular problem and let AI solve it and learn on the experience. 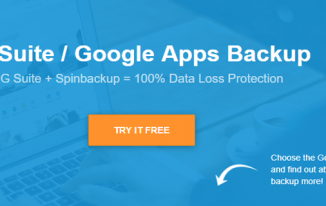 If everything goes well, you can easily do the same for all your data. Starting small is the best way to use AI. This is also the best way to determine what processes and tasks you can automate to save both manpower and resources. Once you do all this, incorporate AI in your daily tasks to get the additional insight into how you can further improve your business strategy. The more transparent your company is about how AI works to resolve issues in current workflows, the better your employees will be able to use it. They need to clearly visualize how AI improves their daily tasks and augments their roles. This will greatly help you build an AI system that will certainly meet your tech and business needs in full. 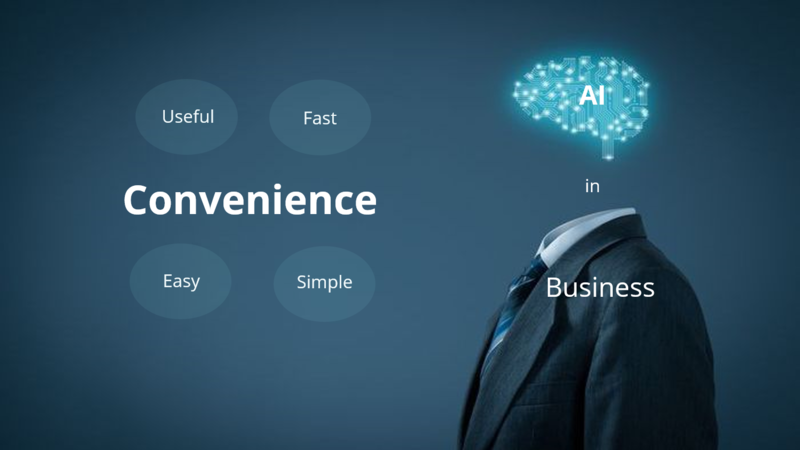 AI provides every business with the necessary flexibility they need to cope with the ever-changing business landscape. In truth, businesses will depend on AI in the future to remain relevant and competitive, but more importantly, to make changes that will contribute to making the world a better place. 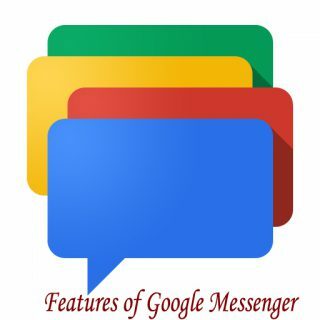 Google Announces the Features of Google Messenger!